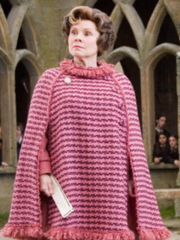 Dolores Umbridge designs anti-werewolf legislation that makes it nearly impossible for those infected with lycanthropy to get jobs. The Sweetwater All-Stars beat the Quiberon Quafflepunchers after a five-day match. Hermione is granted a Time-Turner by the Ministry of Magic in order to take extra classes. 14 February: Gilderoy Lockhart holds a Valentine's Day celebration. Harry Potter receives an anonymous singing valentine (sent by Ginny Weasley). He then begins to use the old diary of Tom Riddle. 8 May: The basilisk petrifies Hermione Granger and Penelope Clearwater, removing Harry as a suspect behind the attacks. Rubeus Hagrid is sent to Azkaban and Albus Dumbledore is removed as headmaster of Hogwarts. 24 May: Harry and Ron Weasley enter the Forbidden Forest and meet Aragog. 29 May: Harry enters the Chamber of Secrets, where he kills the basilisk and stabs Tom Riddle's diary with a fang, destroying it and saving Ginny Weasley’s life. When Professor Lockhart attempts to Obliviate Harry and Ron and take credit for the rescue, the spell backfires, wiping his memory. 30 May: Dobby the house-elf is freed from service to the Malfoy family after Harry tricks Lucius Malfoy into throwing a sock at him. Malfoy is removed from the school’s Board of Governors and Hagrid and Dumbledore return to Hogwarts. July: The Granger family vacations in France, and the Weasley family in Egypt. Sirius Black escapes from Azkaban. 7 August: Harry Potter, angered by Marge Dursley insulting his late parents, magically inflates her, and then runs away to stay at the Leaky Cauldron. 31 August: Harry meets Ron Weasley and Hermione Granger in Diagon Alley. Hermione purchases her pet Crookshanks. 1 September: Dementors board the Hogwarts Express during the trip to Hogwarts; Remus Lupin drives them away from Harry Potter, who fainted due to the power of the Dementors. 2 September: At 9 a.m., Harry Potter, Ron Weasley, and Hermione Granger have their first Divination class. Hermione also attends Muggle Studies and Arithmancy 9 a.m. as well. Later in the morning, they have Transfiguration. After lunch, Rubeus Hagrid teaches his first lesson of Care of Magical Creatures, where Draco Malfoy is injured by Buckbeak. 8 September: The Boggart that Remus Lupin used for his Defence Against the Dark Arts class, took up residence in the teacher's wardrobe in the Staffroom. 9 September: The Third year students have their first Defence Against the Dark Arts class with Professor Remus Lupin, where he shows them how to tackle a Boggart. 31 October: Sirius Black breaks into Hogwarts and slashes the Fat Lady’s portrait while searching for Peter Pettigrew. The Fat Lady is succeeded by Sir Cadogan. Late December: Fred and George Weasley give Harry the Marauder's Map so that he can sneak into Hogsmeade. 25 December: Harry receives a Firebolt anonymously. Hermione, fearing that it was sent by Sirius Black and jinxed, turns it into Professor McGonagall, angering Harry and Ron. Hebe Beardsall, who played Ariana Dumbledore in Harry Potter and the Deathly Hallows, was born in July of this year to Jonny and Janie Beardsall. This page was last edited on 11 August 2015, at 12:19. This text is available under the GNU FDL and may have been adapted from the Wikipedia article about 1993 (history).